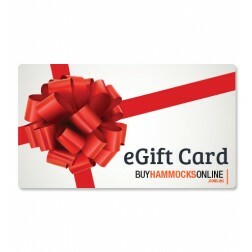 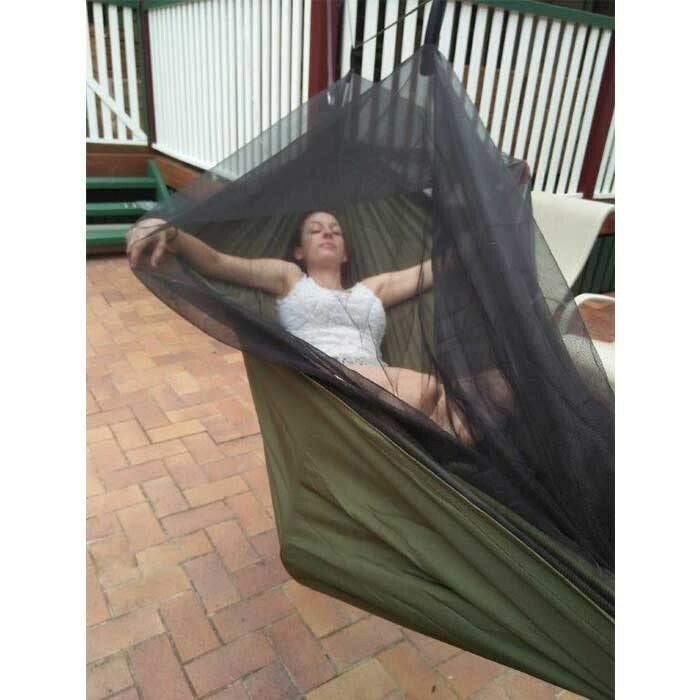 A simple to set up Mosquito Net Hammock perfect for camping and bush settings. 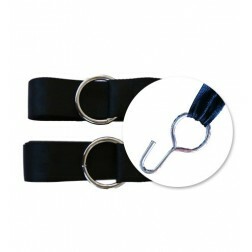 Holds 150kg. 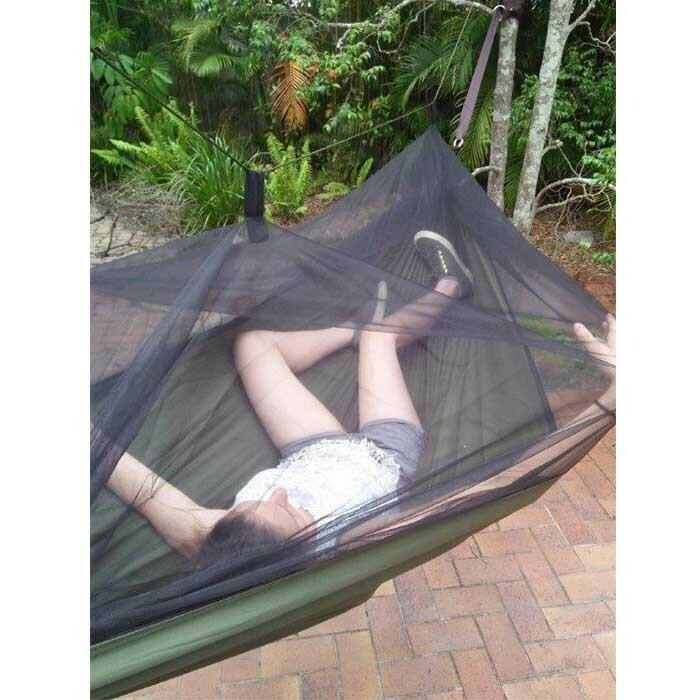 This mosquito hammock is a great addition to a camping trip or back yard. 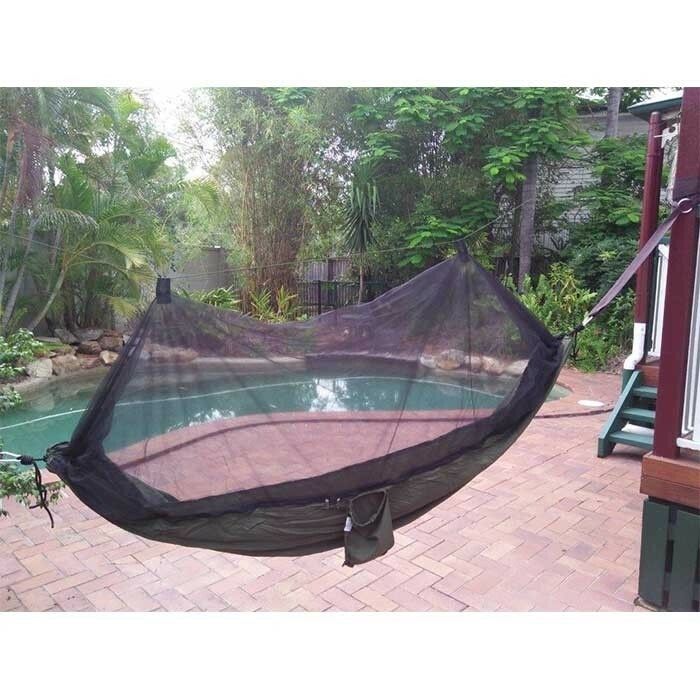 It is strong and effective at stopping mosquitos, and it's comfortable too. 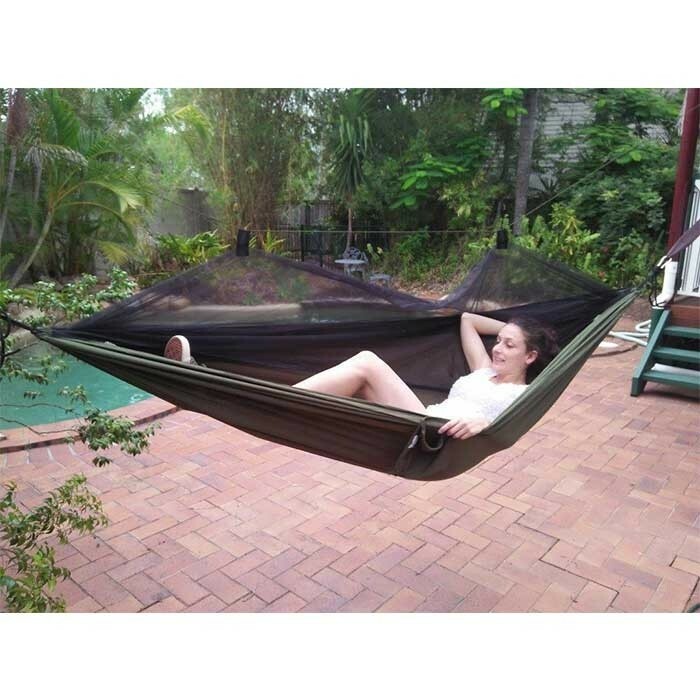 The model pictured said she would be happy to sleep in it. 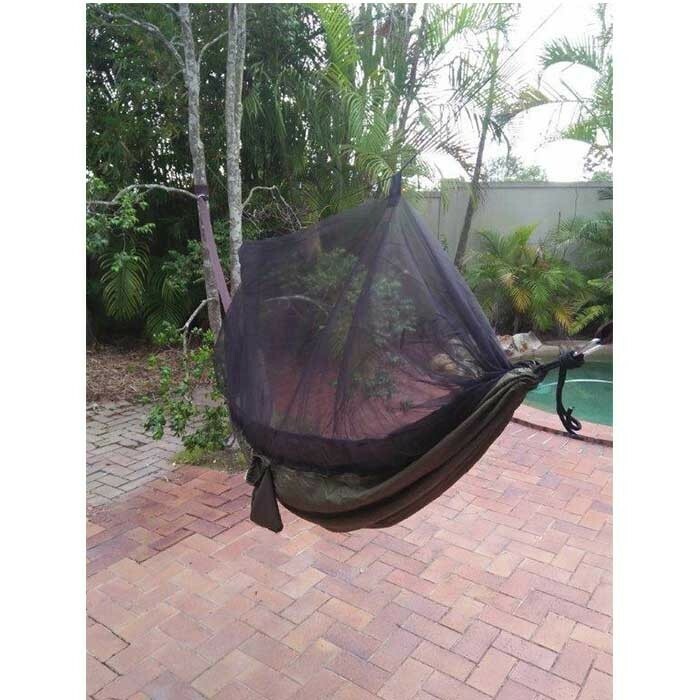 It's dark green colour scheme blends well with the environment, and the green suspension line keeps the mosquito net supported away from your body. 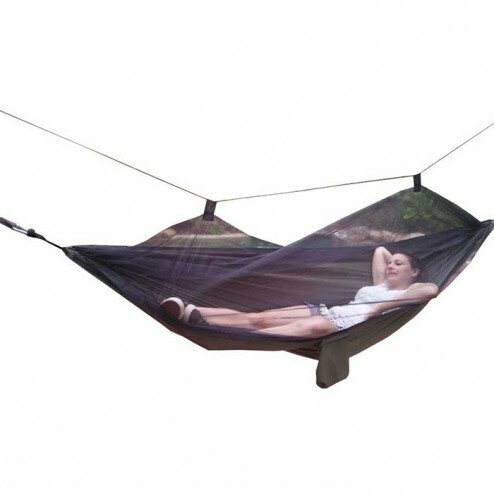 It is small and light, and large enough for an adult to sleep in, so it is great to include in a backpack or car boot for a camping trip. 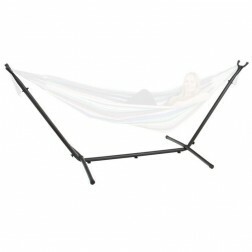 Our tree straps match perfectly with this item. 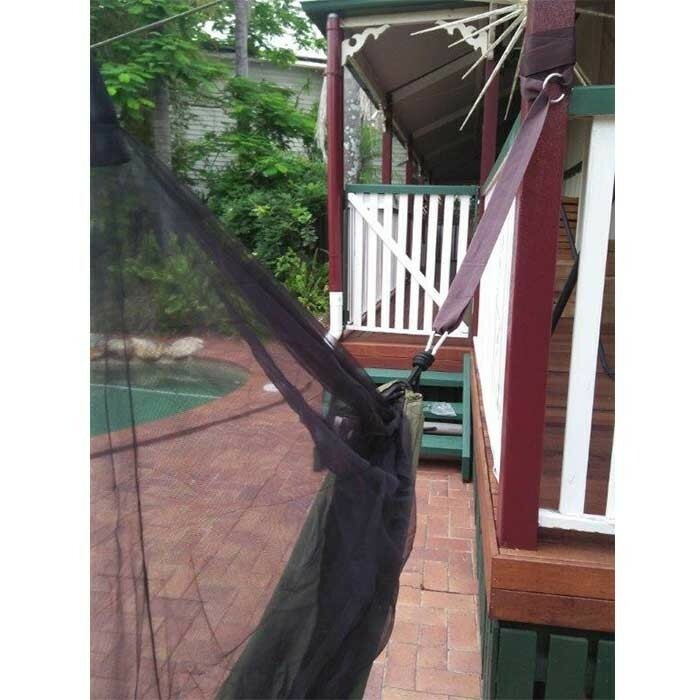 You can see them pictured in some of the photos - attached to the tree and the wooden beam.